- O&M Maintain The Mane Shampoo: 50ml/ 1.7fl.oz; Maintain The Mane Conditioner: 50ml/ 1.7fl.oz. ; Know Knott Detangling Spray: 50ml/ 1.7fl.oz. ; Atonic Thickening Spritz: 50ml/ 1.7fl.oz. 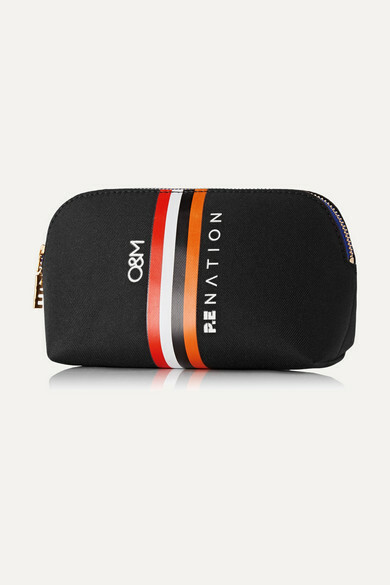 P.E Nation collaborated with Original & Mineral to curate a set of its most-loved products, so you can have shiny tresses on-the-go. These four products come in a logo-stamped canvas case that easily fits in your gym or travel bag.